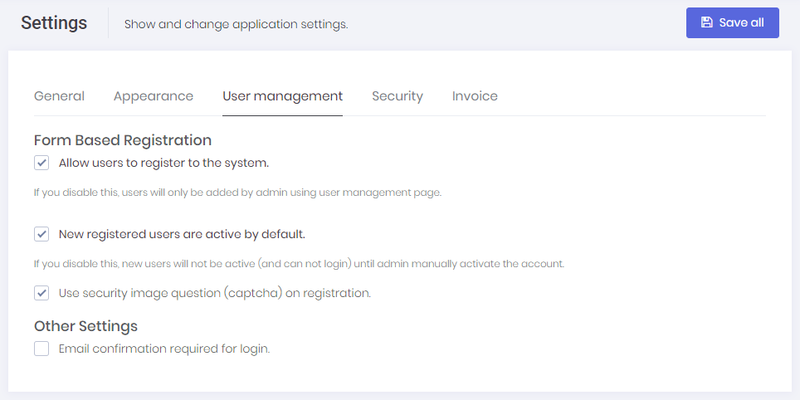 If we disable multi-tenancy, some host settings are also shown in this page (since there is no host setting page). Tenants can also define password complexity settings for their users or they can use password complexity settings defined by host user. TenantSettingAppService is used to get/set tenant settings.